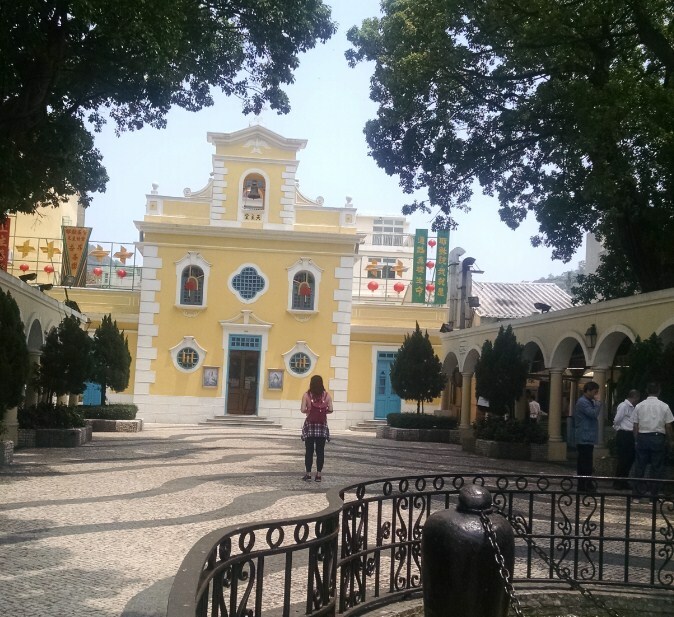 How do you squeeze in the best of Macau when you’re short on time? What should you definitely not miss? It’s the first impression you have of Macau that is the most deceptive. 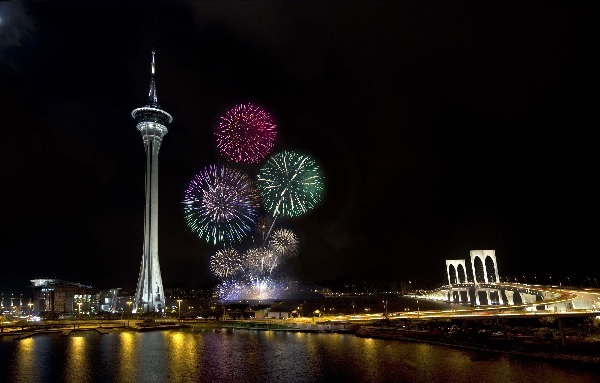 Macau, a Special Administrative Region of the People’s Republic Of China, goes beyond its reputation of being the gambling capital of the East. Think traditionally arched temples, colonial churches, neo-classical buildings against the usual casino dens and gambling corners as depicted in the movies. Moving through the Macau peninsula, you can’t help get entranced by the city’s architectural legacies interwoven in the urban streetscapes. Being a Portuguese colony centuries ago, the city has evolved by leaps and bounds with sky-high buildings and architectural wonders, giving it all it needs to be a modern city. The region is truly a baby of the West engulfed within the geographical territory of the East. A tryst with Macau requires a whole day to explore its hidden gems, unique Macanese cuisine and it’s much-touted nightlife. Verve gives you the ultimate way to enjoy a power-packed day in Macau. You discover how the name ‘Macau’ came to be. 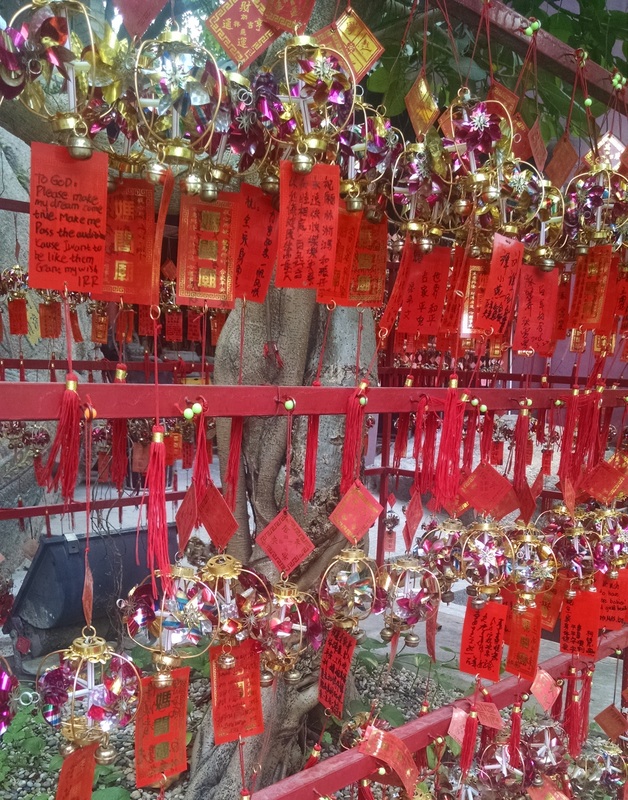 Commemorating Matsu, the goddess of the seafarers and fishermen, the story of its name will grip you. 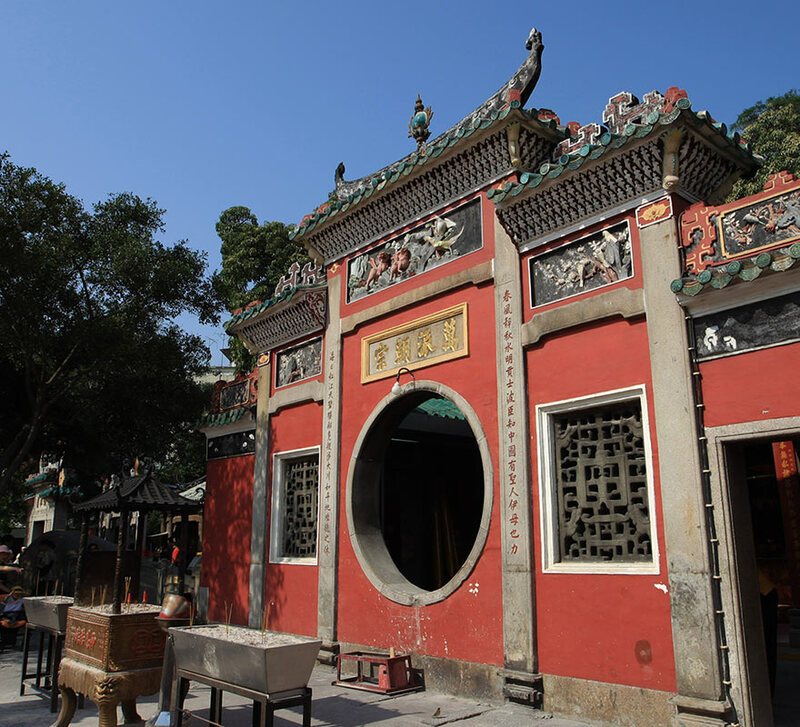 Start your day by wandering through the A-Ma temple, one of the oldest Taoist temples and the longest surviving buildings in the city. Enter its wondrous pavilions, take part in the traditional rituals and get magnetised by its ancient traditions. With over 400 years of heritage, it’s no surprise that the city is enlisted as a World Heritage Site by UNESCO. Absolutely must-do: Write your wish on Chinese lanterns and hang them on the tree, and hope for them to come true. This stop will definitely catch your eye. Standing tall, The Ruins of St Paul’s facade is always swarming with people (owing to the popular market behind). 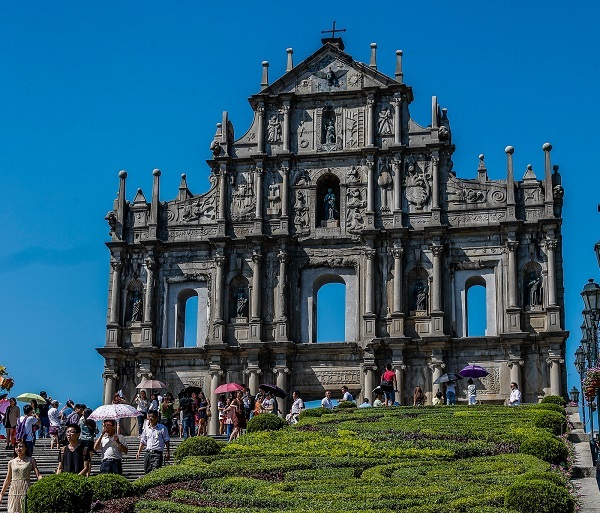 Perceived as Macau’s ‘Acropolis’, the symbolic altar was originally built as the Church of Mater Dei in the early 1600s and destroyed by fire by 1800s. The facade’s mannerist designs with biblical images and mythological representations make it a complete visual treat. 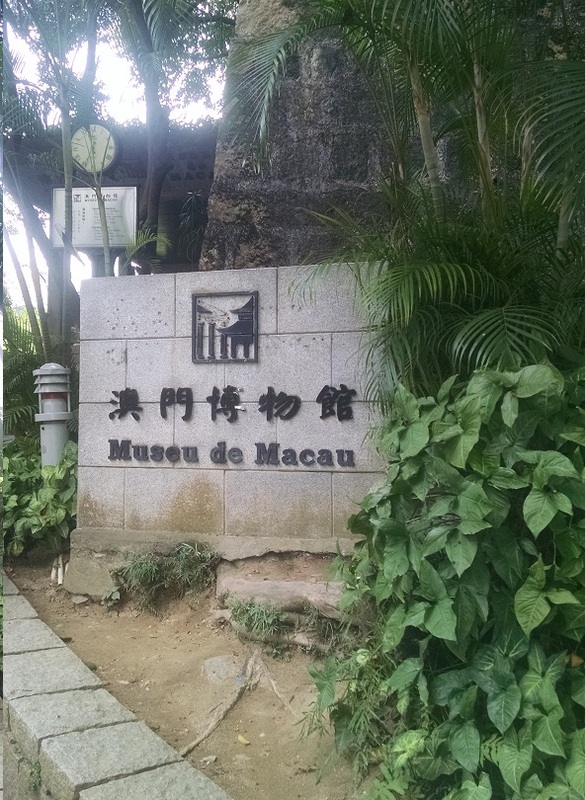 Absolutely must-do: Pay a visit to the Museu de Macau just next to the facade. Spend some time in understanding the city’s unique heritage. 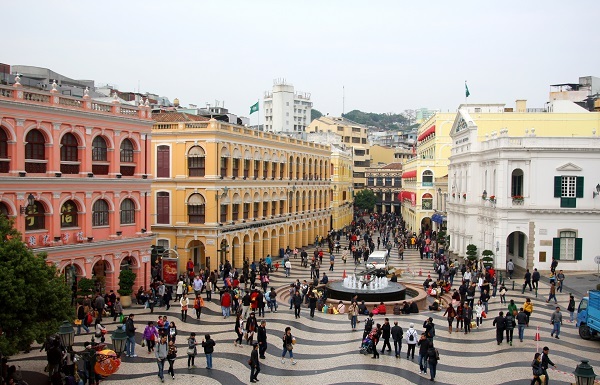 Neo-classical buildings paved by waves of mosaic cobblestone tiles, bursting with happy people, tiny nooks and corners lined with ample shops…Senado Square, the urban centre of Macau is where any shopper’s heart lies. Be it high-street favorites like Forever 21, Giordano, Nike or Asian digs like ISA, SASA, Lukfook Jewelry, Chow Tai Fook jewelry…the narrow streets of Senado will prove to be every shopper’s delight. If you’re not a compulsive shopper, don’t let this place intimidate you, for in the streets you will find the little sweet treats…scrumptious egg tarts, the divine dessert Serra Dura, sinful dried meat treats and our favourite almond cookies (don’t miss these!). Absolutely must-do: Sit by the fountain and watch the passersby scurrying across. On a good day you could also catch dance performances. 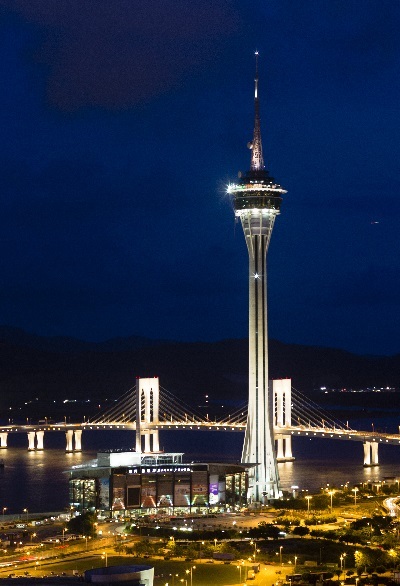 Standing strikingly tall in the heart of the city, the Macau Tower Convention and Entertainment Centre boasts breathtaking panoramic views of the city. On the observation deck with its see-through floors, your mind goes a bit tizzy, leaving you gasping for breath. A few floors below, lies the city’s only 360° revolving restaurant. Match that impeccable view with a sumptuous buffet of tastefully prepared Portuguese and Indian dishes along with an irresistible seasonal seafood platter. From creamy salmon custards to the oh-s0-divine raspberry swirled cheesecake, the restaurant along with its view is a hub of indulgence. 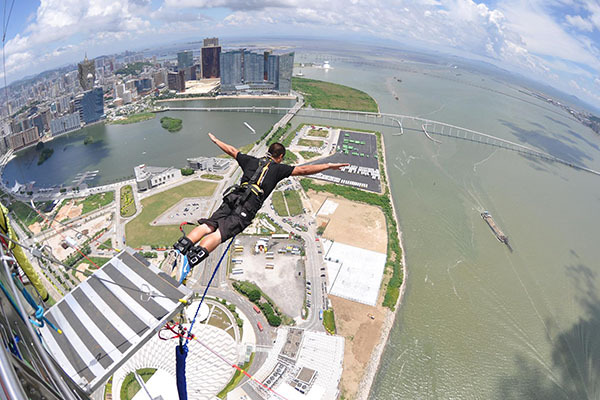 Absolutely must-do: Adrenaline junkie? The adventure arena boasts a series of activities that will satisfy your thirst for adventure (just make sure you have your parachute handy). Just like every desert has its oasis, every metropolis has its untapped hidden gems. There’s often plenty to see in the city that is often overlooked. This part of Macau is a thing of beauty, and as John Keats would say, it is indeed ‘a joy forever’. Away from the hub of Macau peninsula lies the sleepy Coloane village which hosts attractive activities for a perfect summer day. From sun-kissed beaches to outdoor treks, from sumptuous open-air Portuguese restaurants to neo-classical arcades, Coloane is a treat by itself. 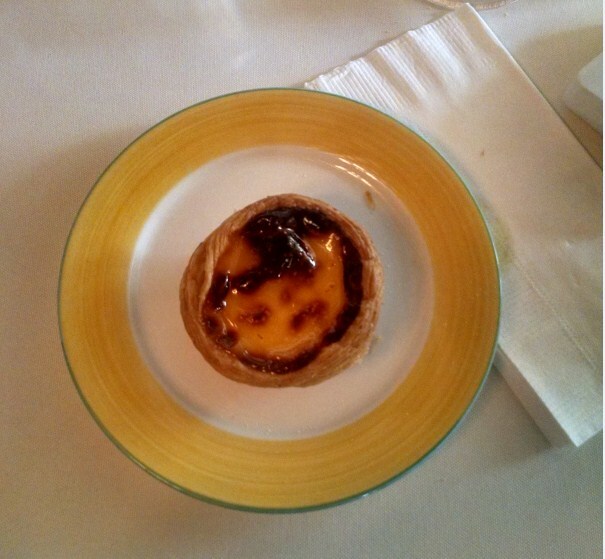 Absolutely must-do: Dense custard filling wrapped in a scrumptious buttery pastry…Lord Stow’s Egg Tarts are out of this world and if you miss this in your sojourn here, you definitely need to head right back! 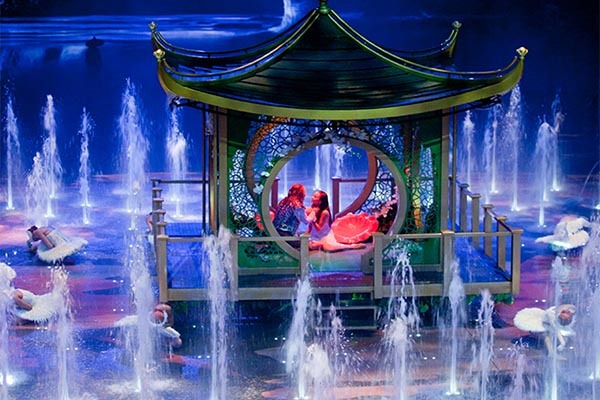 Created and directed by Franco Dragone, The House of Dancing Water (one of the shows in the City of Dreams) gets the ball rolling. The unique water-based extravaganza has all the elements of a spellbinding fairy tale complete with an evil queen, handsome young prince and an imprisoned princess entangled in a beautiful mess. Dazzling costumes, dramatic acrobats, to-the-point special effects…need we say more? Absolutely must-do: Make sure you keep that buzzing cellphone deep into your pocket, grab a beer and the best seats in the house because you can’t help but get lost in this spectacular presentation. This quaint Michelin-recognised restaurant will transport you to Portugal. Nestled in the heart of the Taipa village, bellowing between the narrow streets lies the lovely (and a personal favourite) António. 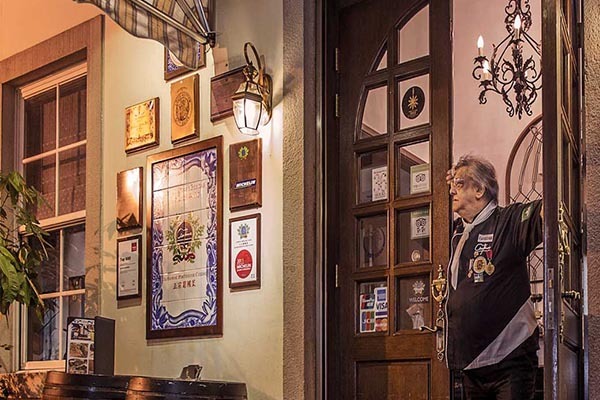 Featuring authentic Portuguese cuisine complemented by warm decor and lively music, this tiny eatery which is the brainchild of Chef António Coelho, encapsulates little Portugal in Macau. Adding to the homely interiors and hospitable owners, it serves up home-grown Portuguese wines and cod-fish cakes you would want to spend time relishing. Absolutely must-do: The affectionate António is quite a delight to have on your table, make sure you reel him into a conversation and ask him to personally flambé his signature Crêpe Suzette. It will become a treasured – and oft recounted – memory. 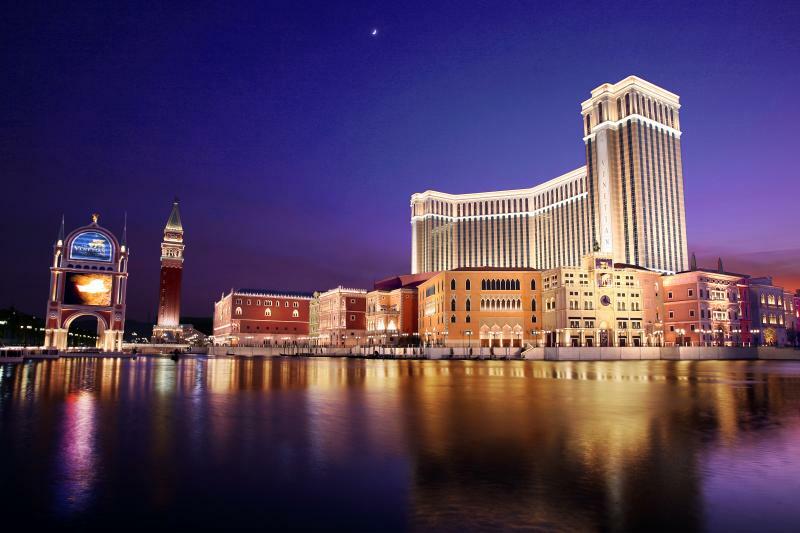 When you come to Macau it’s easy to be beguiled by the scintillating galaxy of shining casinos. They brighten up the sky – dispelling the need for natural light. Ending the day, therefore, must happen at the Cotai Strip — a line of casino hotels in the Cotai area of Macau. Made to resemble the infamous Las Vegas strip, this scape has a series of world class hotels ranging from India’s favourite Venetian to the Four Seasons and the Sands resorts. Casino indulgences, midnight shopping, bar-hopping, and whatever your desire may be…. Absolutely must-do: Amid your distractions of the night, some of your favourite hotels have splendid entertainment right in their lobby. Drop by the Galaxy’s lobby for the magnetising Wishing Crystal show.